New York Gold Buying Location 30 W. 47th ST #812 - Gold is at an all time high, sell your gold now for the highest cash paid. We serve the entire New York City Tri- State area and have the highest payout of cash for your gold. Rated number one by "Sell Gold NY" a New York Gold Buying Authority Site. With Gold being at an all time high now is the greatest time to cash in any gold you have. Whether it is broken gold, new gold, used gold chains, gold necklaces, gold rings, gold bracelets, old and worn gold, gold from a previous marriage, 47th st gold buyers will buy your gold and give you top dollar. 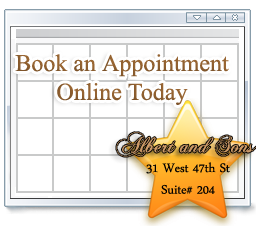 We are located in New York City's diamond district at 30. West 47th st, Suite #812. Cash For Gold NYC Buys Gold, Silver and Diamonds, Gold Coins and Gold Bullions as well. Now is the time to cash in your gold. 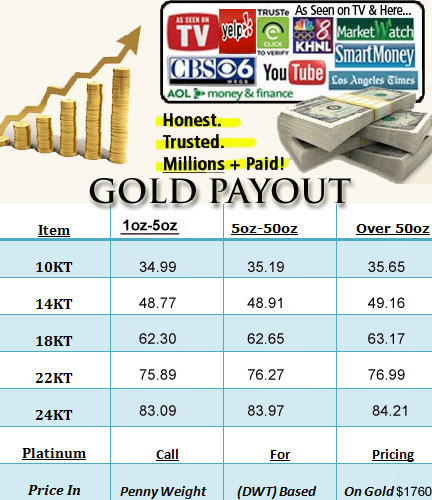 We are New York City's #1 Cash for Gold Buyer. Cash For Gold NYC is Manhattan's #1 Gold Buyers, buying all kinds of gold necklaces, gold chains, broken gold, gold watches, We buy all kinds of gold and pay the highest prices for your unwanted gold jewelry. Fill out the form above if you have any questions or need a quote on your gold. Selling Gold In NY Never Been Easier!